On Sale Now! Free Shipping Included! 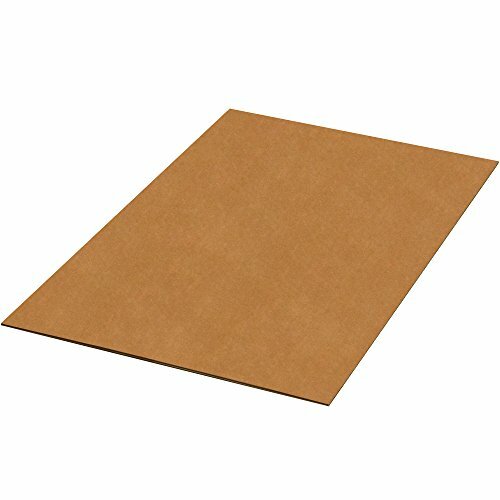 Save 5% on the BOX USA BSP4860DWSK Double Wall Corrugated Sheets, 48'' W x 60'' L, Kraft (Pack of 180) by BOX USA at In The National Interest. MPN: BSP4860DWSK. Hurry! Limited time offer. Offer valid only while supplies last. 48'' x 60'' Double Wall Corrugated Sheets. Use Double Wall Corrugated Sheets to stack heavy items. Manufactured from 275#DW/ECT-48 kraft corrugated. 48" x 60" Double Wall Corrugated Sheets. Use Double Wall Corrugated Sheets to stack heavy items. Manufactured from 275#DW/ECT-48 kraft corrugated. Provides extra durability and strength. Protects products from forklift damage. View More In Corrugated Pads. If you have any questions about this product by BOX USA, contact us by completing and submitting the form below. If you are looking for a specif part number, please include it with your message.